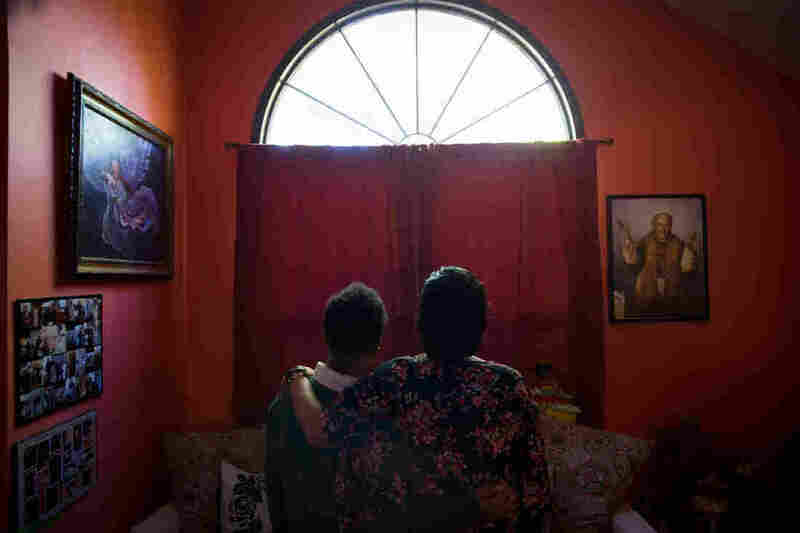 Even For Those Here Legally, High Stakes And Few Protections In Immigration Court After conviction, noncitizens face deportation in a second system of justice that has different rules and fewer protections. NPR followed one man — and his family — through the process. This story is part of NPR's podcast Embedded, which digs deep into the stories behind the news. Inside a Newton County, Ga., superior-court room, Shawn stood before a judge ready to enter a guilty plea. A year earlier, police had found him with 4 ounces of marijuana, two digital scales and plastic baggies at his family home near Atlanta. His lawyer negotiated the deal to avoid the 10-year sentence Shawn could face if his case went to trial. During the 2012 hearing, the judge fired off 47 questions to Shawn in quick succession. No. 38 was this: "And do you understand that this court ... is not dealing with your immigration status, but that entering a guilty plea could affect your immigration status?" Shawn says the question surprised him — to his memory, immigration had not come up before. But court transcripts show he told the judge, "Yes." This kind of confusion is common, which is why judges and lawyers now are encouraged to use explicit language, such as, "You could be deported." Later in the hearing, Shawn's lawyer appealed to the judge for a more lenient sentence for his client: "He's married; his wife is here. ... He works full time, gainfully employed as a tree cutter. ... So I want to impress upon the court that he's doing what he's supposed to do, and that he otherwise — you know, this incident hopefully doesn't define his life." But that's exactly what would happen. Shawn, 40, served 17 months for possession with intent to distribute marijuana. Two years after he was released, he showed up for a monthly check-in with his probation officer, and immigration officials were there waiting. His crime also had violated his immigration status. Shawn should have been transferred directly into the custody of Immigration and Customs Enforcement after his prison sentence ended, but sometimes mistakes are made. According to Georgia prison officials, that's most likely what happened to Shawn. When convicted of crimes, noncitizens — even those like Shawn who entered the U.S. legally — face repercussions in two justice systems. First they serve a criminal sentence; then, if the crime is serious enough, they're put in deportation proceedings. The rules are much different in this separate system of justice, and there are fewer protections for defendants — known here as respondents. On average, 60 percent of immigrants successfully avoid deportation, but in some courts it's less than 5 percent. It's hard to know why the rates vary, because unlike criminal courts, records of immigration court proceedings are not readily accessible to the public. 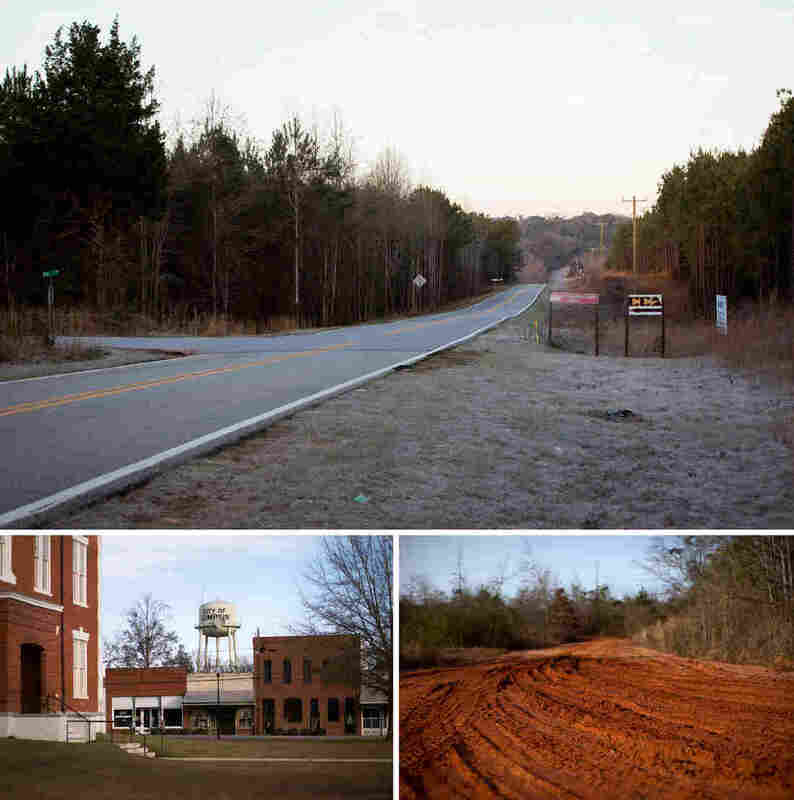 This January, I traveled to an immigration court in Lumpkin, Ga., where more than 97 percent of immigrants lose their cases, according to an analysis from Syracuse University. Shawn was being held there pending a hearing where an immigration judge would determine whether he would be allowed to stay in the United States. 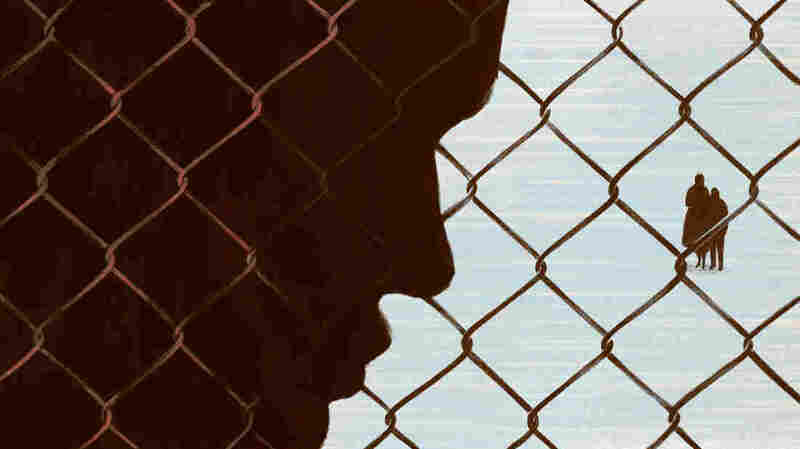 The Obama administration's immigration agenda prioritizes deporting "felons, not families." But in Lumpkin, I saw that distinction can be hard to draw. Shawn came to the U.S. as a legal permanent resident from Guyana, in South America, 30 years ago, when he was 10 years old. He asked to be identified for this story only by his first name and his family members by their middle names to protect his children and his wife's employment status. He grew up in New York City, in a Guyanese neighborhood where it seemed everyone was related — even those who weren't called each other "cousin" or "auntie." In his 20s, Shawn faced two other criminal charges for misdemeanor possession of pot, but his green card was unaffected. He also had two children with different mothers. Then, in 2006, he married Marie, a U.S. citizen who is also of Guyanese descent. They and a dozen other extended family members moved to Georgia to settle down and escape hectic city life. Marie and Shawn had a son. Shawn says he smoked weed recreationally throughout his life, but never sold it. The scale, he said, he purchased because the high-grade marijuana he smoked was expensive. He liked to weigh out exactly what he needed to relax at the end of the day, without overdoing it. Shawn's wife, Marie, with their 9-year-old son, Joey. Marie didn't have a problem with Shawn's smoking. "It was like the glass of wine I have at the end of the day," she told me. But when Shawn was arrested in 2011, Marie gave him an ultimatum: If he got into trouble again, she'd leave. Shawn says he took it seriously. He got steady work with a tree-cutting company and stopped smoking marijuana. At 4 a.m., on the day of Shawn's final hearing before an immigration judge, I met his defense lawyer, Julio Moreno, at his Atlanta office. Immigrant respondents do not have the right to free lawyers, but those who are represented are as much as 14 times more likely to win their cases, according to the Syracuse University research. We climbed into Moreno's navy blue Toyota 4Runner and drove three hours south toward Lumpkin. On the way, we talked about the differences between criminal and immigration law. When people are arrested on immigration charges, they aren't read Miranda rights and not only don't have a right to legal counsel but also aren't guaranteed a speedy trial or a jury of their peers. "The way the system is set up now, they're set up to fail," Moreno told me. Immigration prosecutors and judges are barred from responding to these characterizations, but Immigration and Customs Enforcement and the Department of Justice sent statements to NPR saying they carry out their work according to the laws. And the laws say that immigrants in deportation proceedings don't get the same protections as people facing criminal charges. The reason stems from a Supreme Court decision from the 1800s, Ting v. United States, which held that deportation is not a punishment but merely the process of returning someone to where he rightfully belongs. 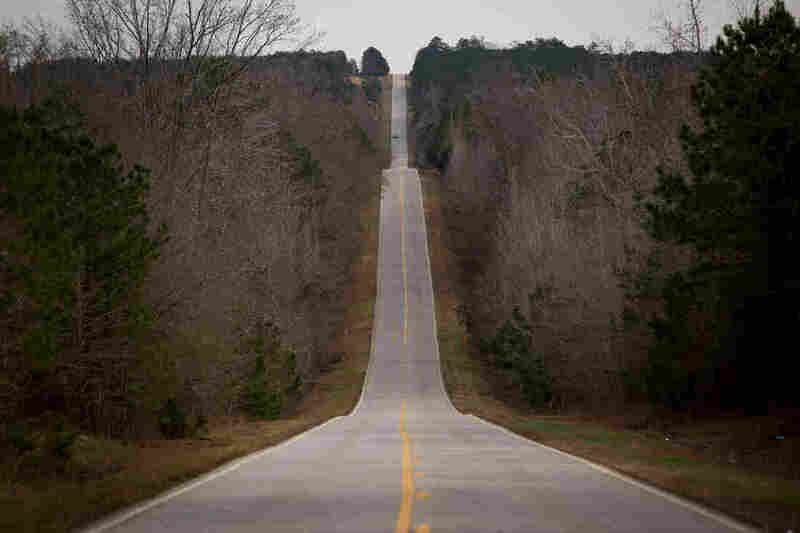 Driving to Lumpkin means leaving behind the wide Atlanta freeways, which span six lanes in each direction, for an unlit two-lane road, from which only rolling hills and vacant land are visible. Cellphone service drops out in Lumpkin and doesn't come back until you reach the immigration complex. Thousands of hearings are heard in the town's immigration court every year. The adjoining detention center usually houses about 1,700 detainees — hundreds more people than the entire town's population. Around 7:30 a.m., sunlight crept up enough to illuminate dozens of abandoned houses and shuttered businesses in Lumpkin. But when we turned into the detention center, the landscape changed. 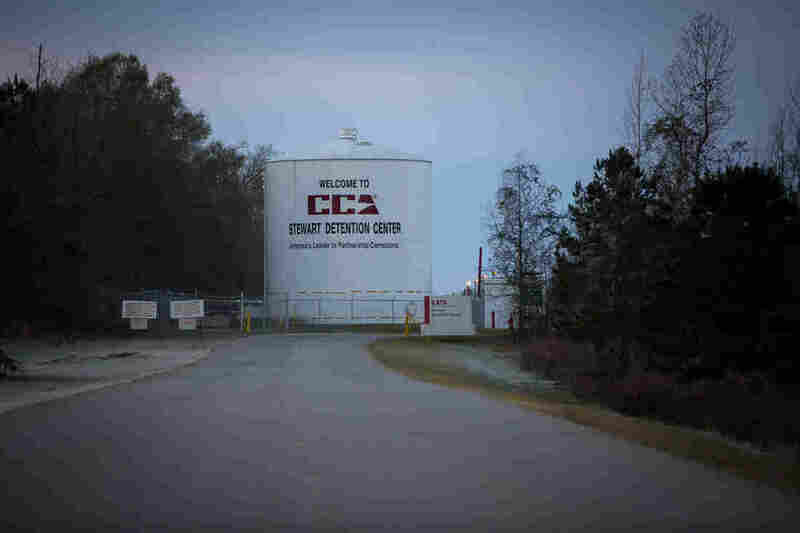 Suddenly, we were surrounded on both sides by bright green, freshly cut grass leading up to a white water tower that said, "Welcome to CCA Stewart Detention Center: America's Leader in Partnership Corrections." The federal government pays CCA and other private prison companies to house more than half of the country's detained immigrants — many in rural facilities like Lumpkin. To the right of the water tower stood the detention center — a series of nondescript white buildings with high fences all around, topped with barbed wire. Inside the facility, a security guard walked us into a small room with peach-colored concrete walls and a desk, where Moreno would prepare Shawn for his 1 p.m. hearing. After a few minutes, Shawn walked into an identical room on the opposite side of a sheet of glass. Nearly 6 feet tall, he wore a red jumpsuit, his hair cropped tight. He looked tired. By then, he'd been detained in Lumpkin for five months. "When I came out of prison I ... for the last two years, I thought I got a second chance," Shawn said. "But to be picked up after you promised your family you'll never leave them again, that was the worst thing I could ever go through." Moreno's strategy to keep Shawn in the United States relied on a Supreme Court decision, Moncrieffe v. Holder, which held that immigrants with convictions like Shawn's should be considered low-level drug offenders instead of "aggravated felons," a category of immigrants who automatically are deported. Even if Moreno was successful in that, Shawn would have to meet a second, higher threshold — one that doesn't exist in criminal court. In immigration court, once a respondent wins his legal argument against automatic deportation, judges then weigh all the positive and negative factors about the person and decide whether the respondent can remain in the United States. There are guidelines for what the judge should consider in this decision, but ultimately it's subjective. Moreno advised Shawn to make clear to the court that he was sorry for his mistakes — not to deny or try to excuse them. He also counseled Shawn to tell the court that his family would suffer if he was deported. The stakes were intimidating. If Shawn were to win his case, he could go home with his family that day. If he were to lose, he would be deported to a country he hadn't seen in three decades, 3,000 miles away. To support Shawn's case, 30 people had written letters to the judge before the hearing. They included his boss at the tree-cutting company, his church pastor, and friends and family. Moreno said he had represented a lot of cases similar to Shawn's, and in his experience, most respondents didn't get that kind of support. Shawn's family arrived two hours before the hearing. They drove three hours from the Atlanta suburbs — 11 of them packed into two cars. They were also part of Moreno's legal strategy. "Hopefully the judge will be afraid," he said. "Intimidated to let them all down?" I asked. Moreno nodded his head yes. I walked over to Shawn's family and asked his sister-in-law what they planned to do for the next two hours. "Pray, that's all. 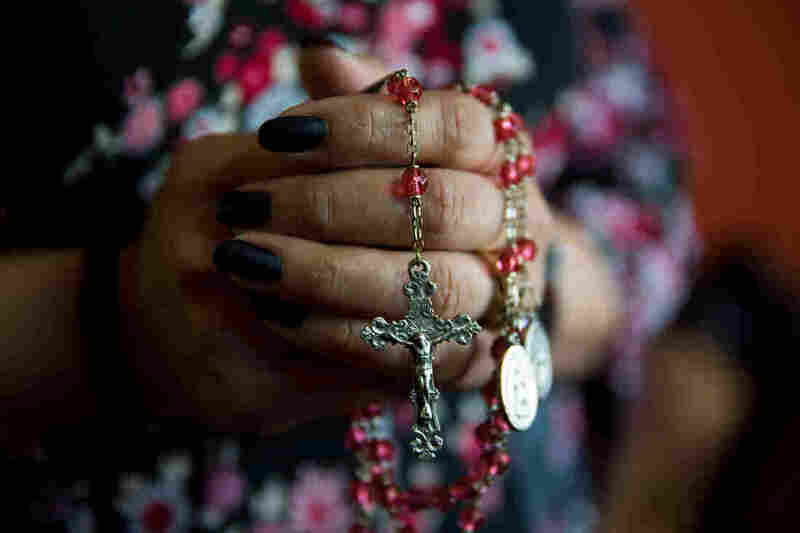 We're just trying to keep him elevated in prayer," she replied. Marie had on a white skirt suit with a jacket and dark sunglasses that hid her eyes. "I don't want to be excited and I don't want to be sad, I'm just trying to stay neutral to everything," she told me. "I think if I start, I wouldn't stop, if I start going downhill." Marie said she knew Shawn was to blame for putting her family in this situation, but she didn't believe his mistakes warranted sending him back to a country he didn't know, or breaking up their family. "It was all stuff that haunts him, from the past, childhood — growing up in New York City and being in the streets and trying to get by," she said. "He had to find ways to take care of his family." I asked if that meant Shawn was selling drugs in the 1990s, when he first was arrested. "He's not no Scarface or big drug cartel," she said, her voice trailing off. "If not we would not be struggling here, trying to get by paying bills and everything else. It's just really small stuff." When I asked if Marie had thought about what might happen if Shawn lost in court that day, she replied, "I don't even want to think about that, so I have no plan if they deny him. I just look forward to walking out of here with my husband and taking him back home and ... doing what we have to do to put this behind us." Inside the tiny windowless courtroom, Shawn sat at a desk next to Moreno, his lawyer, and opposite Reid McKee, the government prosecutor. Judge Dan Trimble sat upfront behind a bench. Moreno called Shawn's stepmother, mother-in-law and wife to the stand. He hoped their testimony would help persuade the judge to use his discretion to keep Shawn in the United States. "This whole family is going to fall apart," his mother-in-law told the court. "We're falling apart already. And it hurts. And Shawn is a loving boy." Her voice cracked. "I know he's going to do better. We can't live without Shawn, Sir." Then, Moreno called Shawn. He asked whether Shawn had learned from his mistakes — Shawn said he had — and about whether he'd been back to Guyana since he came here when he was 10. Shawn said no. "I promise you that I will never be back in none of these courtrooms ever again," he said. "I apologize for my mistakes I've made in the past, and I'm a changed person. I need my family and they need me. That's all I have is my family, in America here." When the prosecutor questioned Shawn about his past, he raised that Shawn had been charged with intending to sell marijuana four times in his life, but convicted only once. Such past charges would not have been permissible in criminal court, because they were never proved, but in immigration court the rules are different. Moreno objected to the question, but the judge overruled. "A person might conclude that you've been dealing drugs in the United States. Have you ever dealt drugs in the United States?" the prosecutor asked. Shawn answered no. And the prosecutor used his response to back Shawn into the corner that Moreno wanted to avoid: Shawn made an excuse. "OK, but why did you plead guilty to possession with intent to distribute, if you were not possessing with intent to distribute marijuana?" McKee asked. "They were trying to give me 10 years in prison," he said. "I can't afford to do 10 years in prison for something, so I took the guilty plea." After closing arguments, the judge went back into chambers to deliberate. He was gone an hour and 15 minutes. The courtroom was silent. The government prosecutor sat, typing away at his laptop. Marie and Shawn stole looks at each other once in a while, but they were not allowed to speak. Joey, Shawn's son, looked down into his hands and kicked his legs out in front of him. At one point, Joey and I walked out of the courtroom at the same time. I asked him how he thought it was going. "I think we're gonna win," he told me. When the judge walked back into the courtroom, everyone in the audience sat up straight. "Sir, I am not going to grant your relief this afternoon," he said. "I'm going to order that respondent be removed from United States to Guyana." Shawn's family didn't react. They just stared at the judge. Some silently hugged the person next to them. 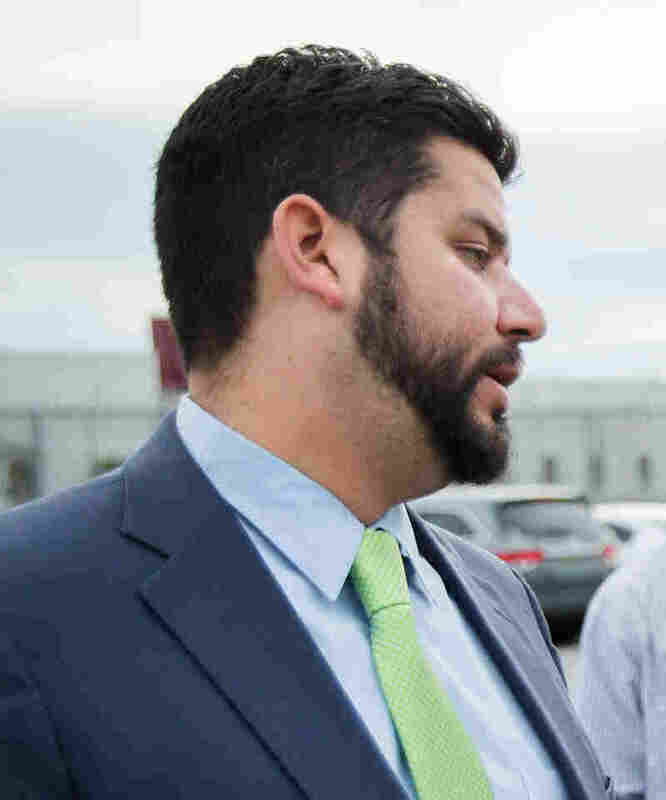 The judge explained that Moreno had won his legal argument, but he failed to persuade the judge to use his discretion to keep Shawn in the United States. The family shuffled slowly out of the courtroom. As soon as the door shut, Shawn's stepmother started wailing. In the parking lot, Moreno explained that he would file an appeal, which would take two to three months to come back. Some of Shawn's family members still had blank expressions. Marie and Joey had tears running down their faces. On the drive back to Georgia, Moreno explained that appealing a discretionary decision is more difficult than appealing a legal one — to win, you have to convince a judge that one of his colleagues made a grave mistake on a subjective decision. And on appeal, judges are supposed to give each other the benefit of the doubt on anything that isn't completely clear. It took me a few weeks to reach Marie after the hearing; she wasn't picking up her phone. At one point she sent me a text: "Not doing very well. Times are extremely hard. I'm not in the mood to catch up." Eventually she agreed to let me come to the family home in Georgia. There, she told me that most of the time she was too numb to feel anything about the experience. But Joey was struggling. "In December he started playing basketball. Now he's into the football, and I don't know about all that stuff," Marie said. "All these kids got their dads out there." Before I left, I asked Joey what he was telling his friends about where his dad was. "I tell them he's going to be home from his business trip soon," he said. A week later, Shawn called. He'd been transferred twice since the hearing, first to a facility in Louisiana, and now was in a county jail in Alabama. I asked whether he felt he should have faced consequences for the drugs and paraphernalia in his possession. "I felt like I already did that, already, when I went to prison," he said. "Did that feel justified to you at the time?" I asked. "Yes, I feel like that's my consequences," he said. "But right now, this is double jeopardy." Two days later, I got a call from Moreno. Shawn lost his appeal. I asked Moreno what he thought made the judge decide against them, but he didn't have any answers. In fact, he said, he had just won a very similar case in a different immigration court a few days before. He said this kind of thing just happens, all the time. NPR's Chris Benderev contributed to this story. For more, listen to Embedded. 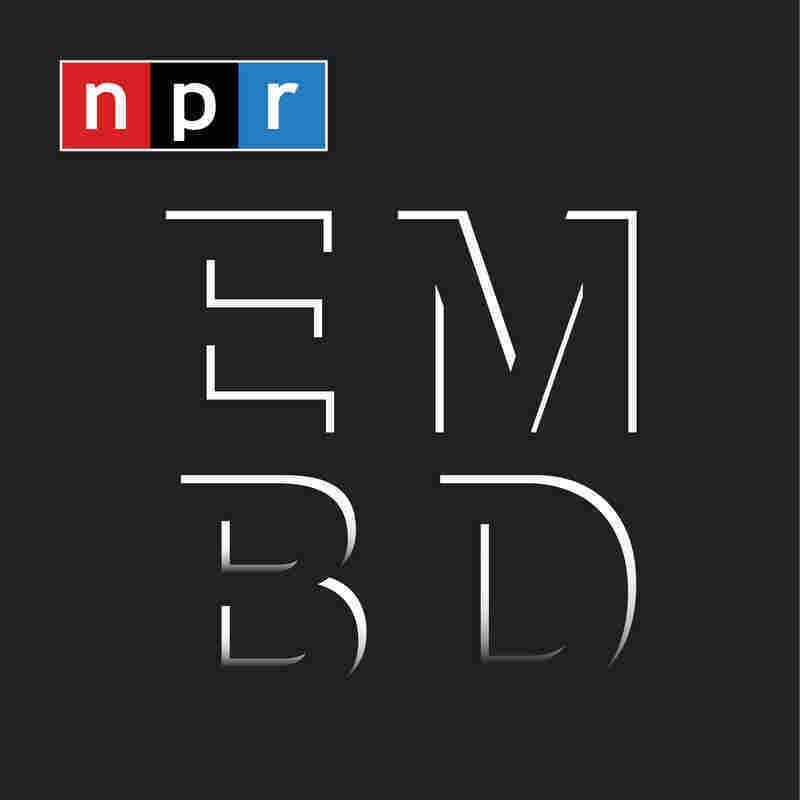 Keep up with podcast host Kelly McEvers on Twitter at @kellymcevers and reporter Caitlin Dickerson at @itscaitlinhd, and join the conversation using the hashtag #NPREmbedded.